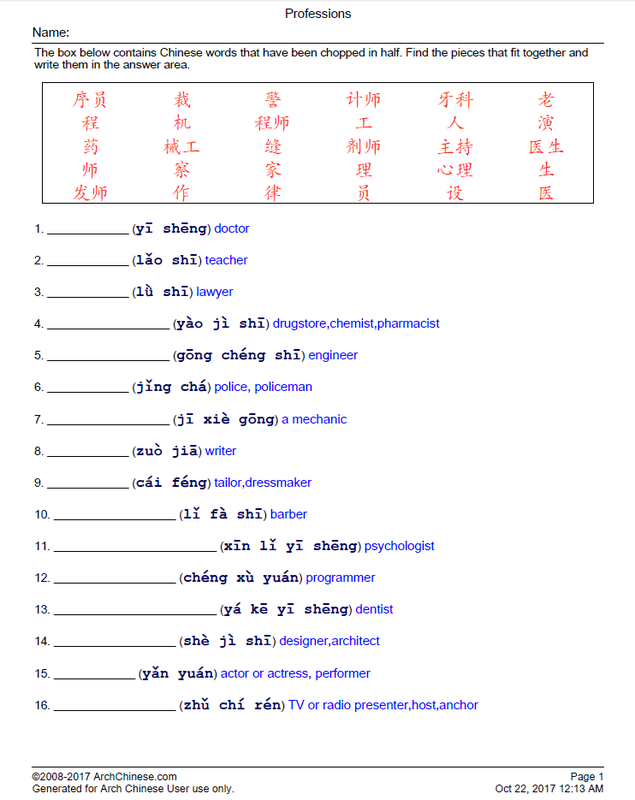 Chinese Word Chops are a great way for Chinese students to learn and master new Chinese words. Students enjoy this activity because it is much more thought provoking than some simple word puzzles. The Chinese words are chopped into two pieces. 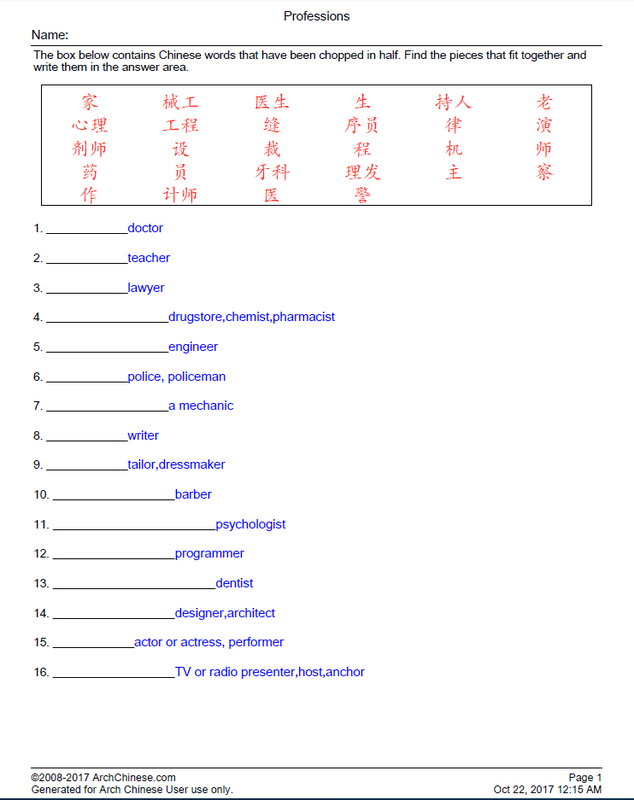 The challenge is for students to figure out which two parts go together to make a Chinese word that matches the given Pinyin or English meaning.